The 1902 Runabout was the forerunner of the first car built by The Ford Motor Company in 1903. Powered by a two-cylinder, opposed engine with 4” bore and 5” stroke. 12 horsepower with planetary transmission. 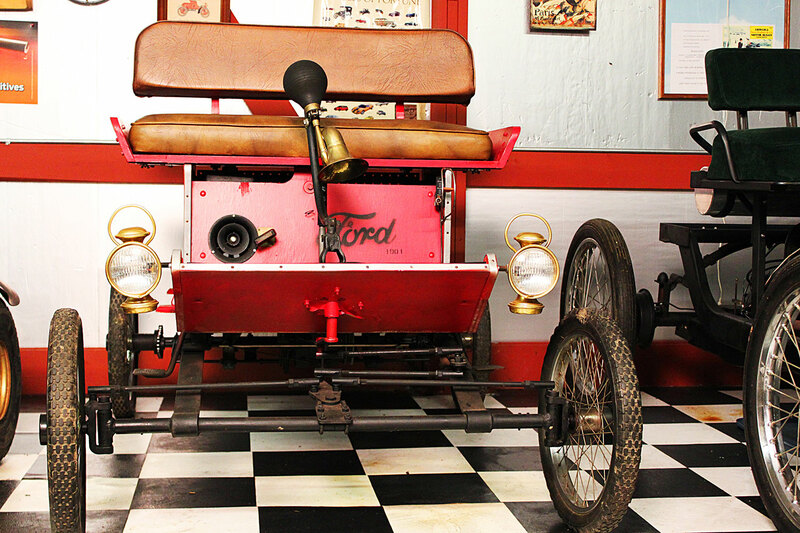 This replica of the 1902 Ford Runabout was donated by Mr. Charles Anderson and restored.